Batched cocktails are the way of the future. More and more bars are implementing it into their repertoire. Regardless of how close you are to your staff, or how much they respect you as the cocktail curator, bartenders take liberties with house recipes all the time. So, on one hand to eliminate consistency problems or recipe discretion batching is great. You don’t have to worry about one guest having three Manhattans from three different bartenders, with the same ingredients, three different ways. Therefore batching is great for quality control. Its other great benefit is for speed of service. In a restaurant of our size where we consistently see over 1,000 people a day during the busy season, we can’t have guests waiting for cocktails. Any bartender can make a great Manhattan, but what makes it great is not just the bartender, it’s also the ingredients. We took that one step further by barrel aging the entire cocktail for one thousand, nine hundred, and sixty-five hours (to honor the year we opened, 1965) in new American white oak 10 liters barrels charred to a #3. We’ve been told many times that our Manhattan is arguably one of the best Manhattans people have ever had. Our Manhattan follows the New York recipe and area code: 2-1-2–two ounces of Whiskey, 1 ounce of vermouth, and 2 dashes of Angostura bitters. The name “Anchor Negroni” is an older iteration to what we now just call the House Negroni. It is our version of a classic Negroni that goes through a semi-seasonal and creative rotation. A Negroni has three parts, gin, Campari, and sweet vermouth. We have done anything from using local ingredients, such as the “The Local 2”, which uses Bummer and Lazarus Gin (Treasure Island Gin), Spirit Works Sloe Gin (Sebastopol), and Tempus Fugit Gran Classico Bitter, to our current version, where we slow sous vide orange peel and vanilla beans in Campari at a low temp for 4 hours to infuse the flavors. The Pisco Punch is San Francisco’s quintessential cocktail. It dates back to the Gold Rush era with a man named Duncan Nicol, the owner of the Bank Exchange which was located where the Transamerica Building now stands. This cocktail became so popular at his bar that he would make it in the back room by himself. Even his bartenders didn’t know what was in it. Our recipe keeps true to this tradition. We make it in the cellar and don’t tell the bartenders what’s in it. Everyone knows a Pisco Punch has Pisco in it, some kind of viscus sweetener like Gum Syrup, and pineapple juice. We tell everyone that’s our base and the rest is a secret. Come try it! 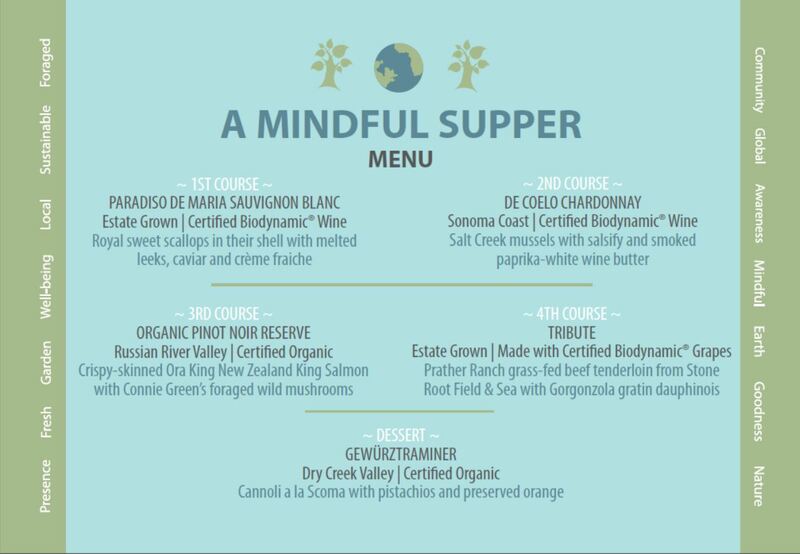 Experience A Mindful Supper at Scoma’s! This marks the first of a series of “Mindful Suppers” Scoma’s and Chef Gordon Drysdale will be hosting throughout 2019. 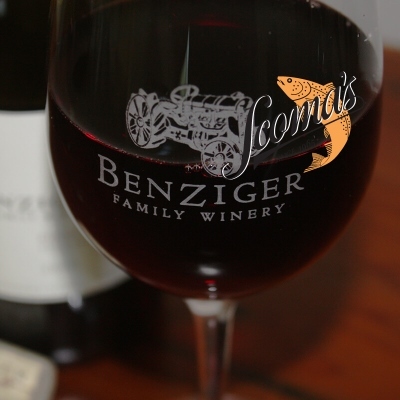 Join us at a special five-course supper at Scoma’s in San Francisco highlighting Benziger Family Winery’s lovely biodynamic and sustainable wines, expertly paired with Scoma’s, Guest Chef Gordon Drysdale’s delectable dishes. Benziger Winemaker Lisa Amaroli will be on hand to chat about the wines, the winery and their practices and to share her thoughts on the pairings. Benziger has always taken a mindful approach to the biodynamic methods in which they create their wines, cultivating the land and vines with the best intentions of environmental stewardship and Scoma’s has done the same since its inception in 1965. 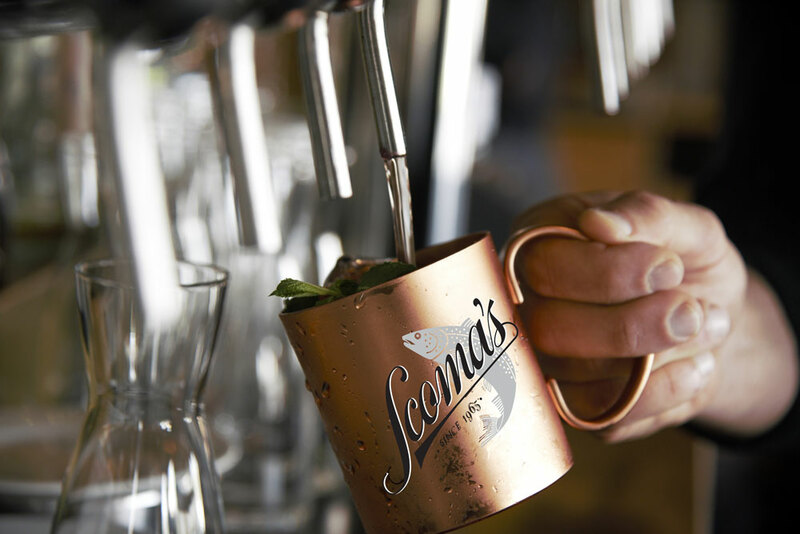 Scoma’s also offers complimentary valet parking. Beautiful King Salmon was delivered at Scoma’s Pier! 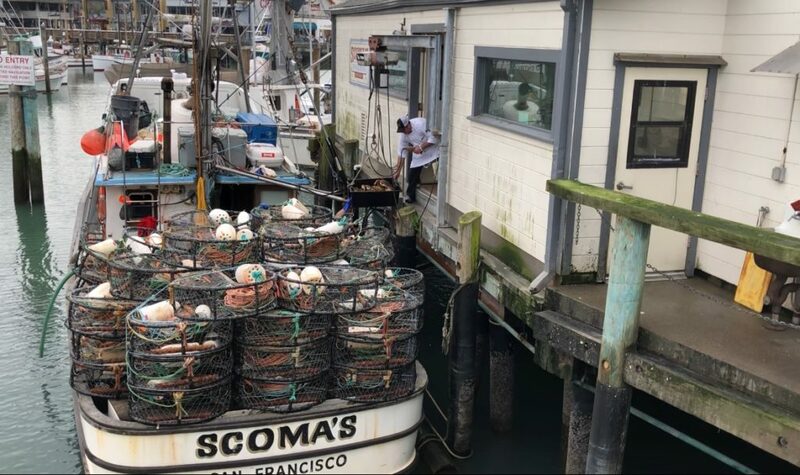 Do you know … Scoma’s is the only restaurant in San Francisco that owns our own fishing boat and fish receiving station. The freshest fish is brought to us directly from our boat and with the help of our fisherfolk partners. Our executive chef Efren and his team are always carefully picking the best salmon, which is then carefully prepared and served directly to your plate. Click here to watch our Pier-to-Plate in action! 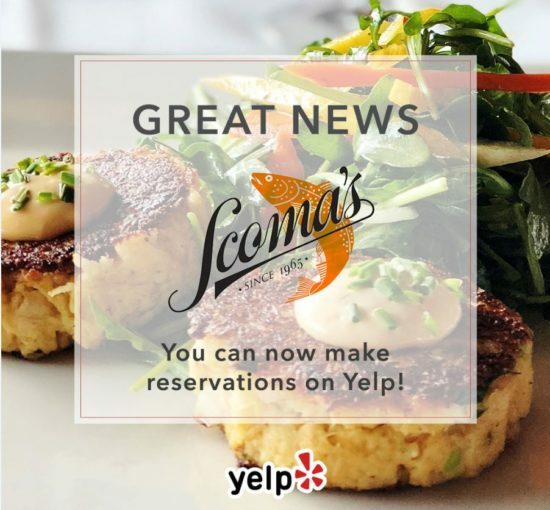 You can make reservation with Scoma’s on Yelp now! We’re excited to announce that Scoma’s is now accepting reservations on Yelp and our website. Now when you make reservations at Scoma’s you’ll enjoy a faster, simplified reservation experience and receive confirmations via text and email. Also, when you come in on busy nights and need to be added to the waitlist, you’ll now receive a text when your table is ready. 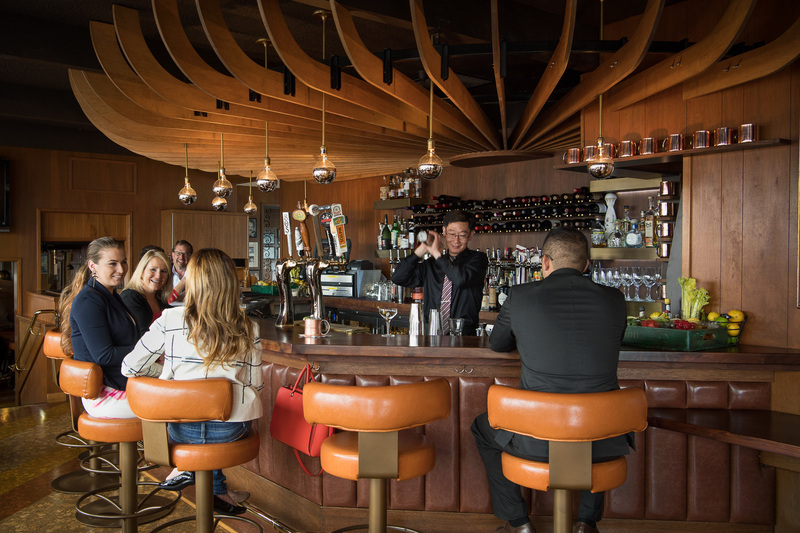 If you have an existing booking with us, don’t fret – all existing reservations have been transferred and will be honored. Happy International Clam Chowder Day! 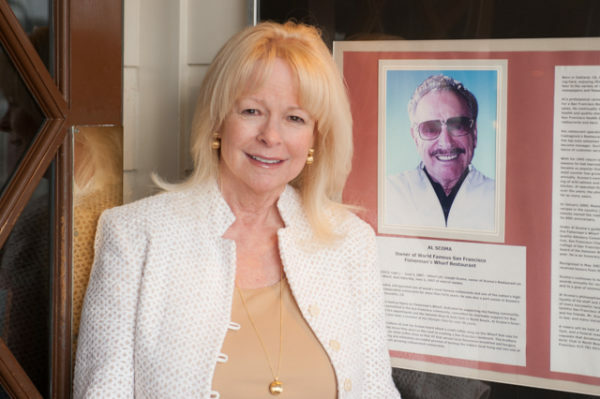 Scoma’s started more than 50 years ago as a small coffee shop on the Wharf in San Francisco when Al and Joe Scoma had a vision when they spotted the six-stool local spot. 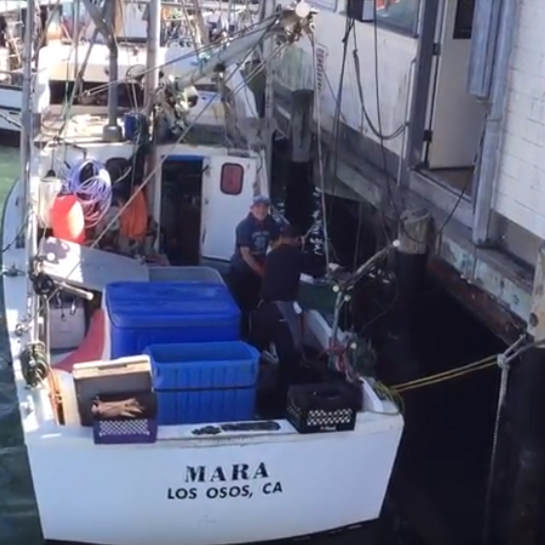 They bought the shop and started providing local fishermen with hearty breakfasts before heading out on the water. When they started coming back in for a bite after a long day in the afternoons and evenings though- the Scoma brothers added some new dishes on the menu. And what is better after a cold day on the Bay than a hot cup of delicious chowder? And hence, Scoma’s was born. 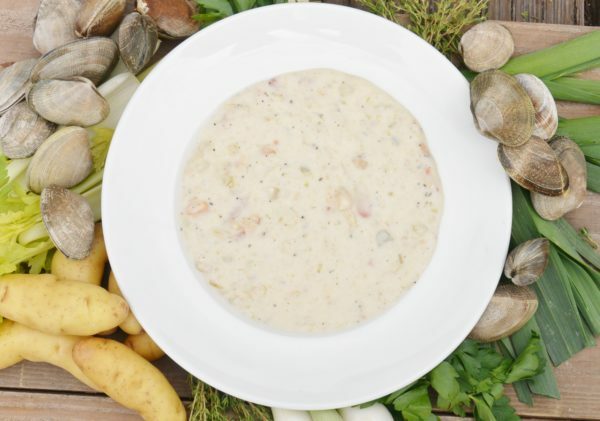 We hope you enjoy this recipe for our famous Clam Chowder! 1. Kill the flame. Slowly whisk the flour into the oil, until there are no lumps; usually about 5 minutes. 1. Place Frozen Clams and the juice only from canned clams in a blender and puree. 2. Transfer to a heavy stock pot and over medium/low heat add the clam juice, the celery, leeks, and the thyme, and cook for 1 to 1-½ hours. 3. Slowly whisk in all the roux in small batches to avoid lumps, bring back to a boil and then turn the pot OFF. 5. Add strained canned clams and mix them in as well. 6. Simmer until potatoes just begin to soften. 7. Add Half & Half and bring to a simmer. 8. Season with Kosher Salt and Black Pepper to taste. 2018 Person of the year – Mrs. Cheryl Scoma! Congratulations to Mrs. Cheryl Scoma! The Salesian Boys’ & Girls’ Club is proud to announce the honor of Mrs. Cheryl Scoma as the recipient of the “2018 Person of the Year.”! Mrs. Scoma is so very supportive of the Club, she loves the youth and continues to take care of them following in her husband, Al’s footsteps. The Scoma’s have always been very instrumental in the success of this youth organization and we are so over joyed and very thankful to acknowledge Mrs. Scoma as this year’s honoree. SF Beer Week is here and Scoma’s is celebrating with a special collaboration with Drake’s Brewing. 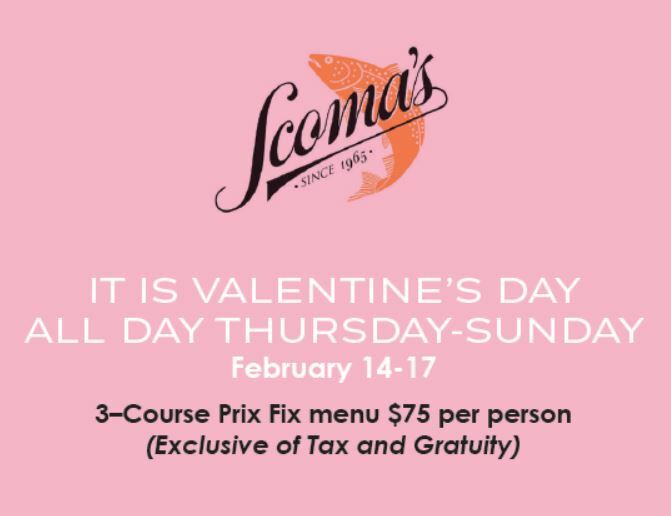 Through February 18th, Scoma’s is offering a special three-course beer pairing lunch and dinner menu ! 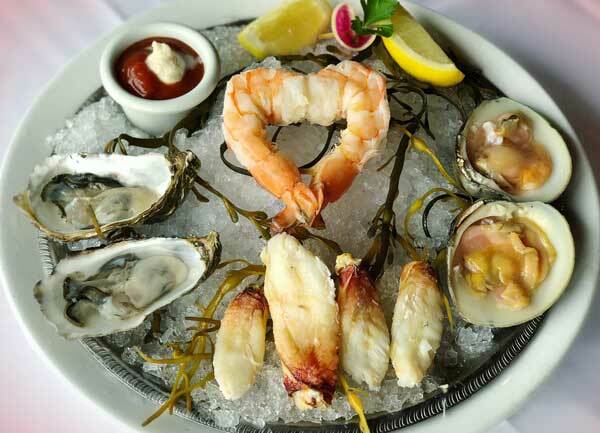 The Drake’s By The Bay lunch and dinner are $45 and $60, exclusive of tax and gratuity. 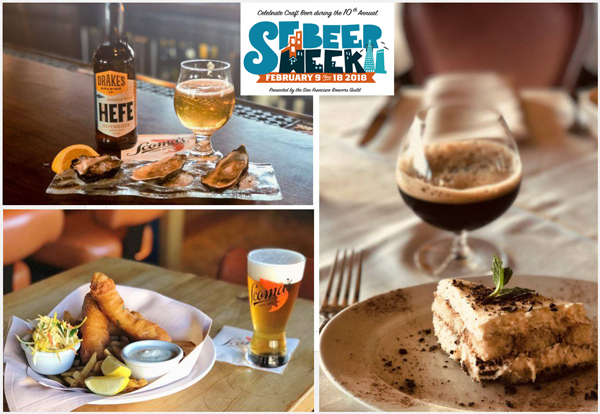 We hope to see you during SF Beer Week to enjoy this special pairing menu featuring Drake’s flavorful beer and the freshest seafood in the city. 2/12….Lunch in Scoma’s dining room scheduled to open12:00pm noon Mon-Thurs and 11:30am Fri, Sat & Sun. 2/14….Valentines Day! If you do not see any availability for a reservation, we encourage you to walk-in! Reserve Your Cooked Crab for Lunar New Year Celebrations! Dungeness Crabs are loading from our boat to the Fish Receiving Station! We will cook for you the same day you schedule to pick-up. You can pre-order your cooked crab on Scoma’s Market, let us know the date & time to pick up, and it will be ready and waiting! Also think about adding on our extremely popular “Crab Kit” which includes cleaning & cracking your crab, fresh lemons, cocktail sauce. Visit Scoma’s online Market for details.